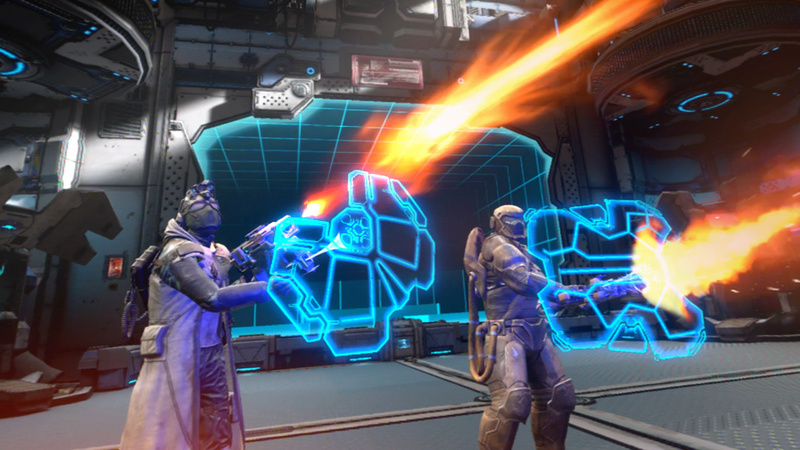 Most creative teams would still be considered in their infancy five years in, but for Canadian studio Archiact, it’s been more than enough time for the developer to stamp its authority on the virtual reality scene. 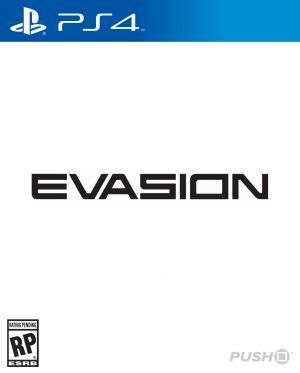 After developing a whopping eight different titles and publishing a further 13 from different companies, the powerhouse is back with its biggest project yet, Evasion, a bullet-hell shooter for PlayStation VR. It’s not exactly the most original name going, although to its credit, the experience itself is a little more memorable. In fact, Evasion feels like the next Farpoint. 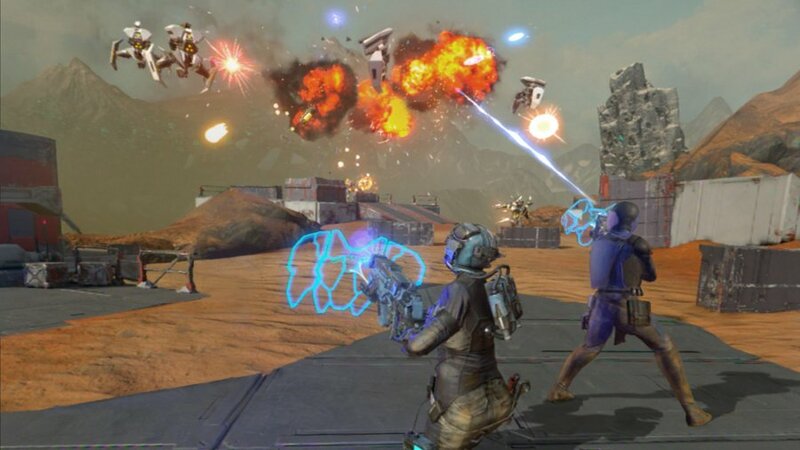 Free movement allows you to explore an alien world overrun with otherworldly creatures known as Optera, and it’s the weapon in your hands that takes centre stage. 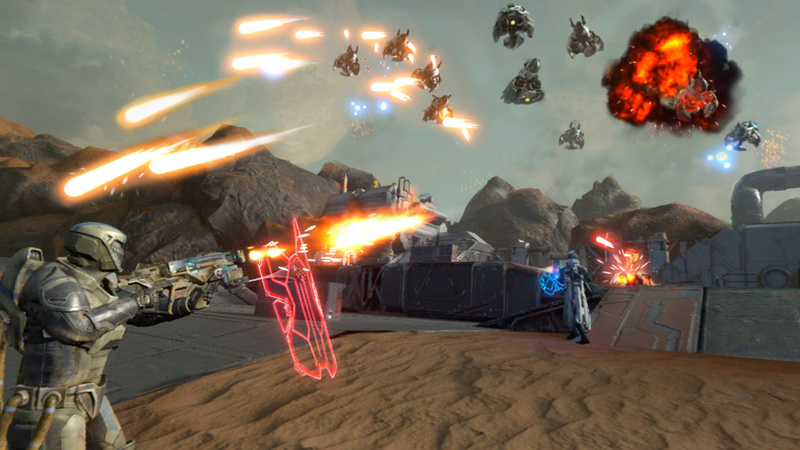 Every gun ships with a built-in shield, and it’s this that defines how you approach combat. Rather than ducking behind cover and taking pot shots, the game demands that you stay on the move pretty much all the time, eliminating enemies and deflecting shots from those you’re yet to kill. In essence, you are your own piece of cover and you’ll have to use that to your advantage as you navigate the battlefield. Angle the shield correctly and you’ll be diverting bullets back onto your opponent while popping off shots yourself. It’s this mechanic that forms the core of the title’s gameplay loop, but that’s not the only trick it has up its sleeve. Alongside the distribution of bullets, weaponry also comes equipped with a tether which allows you to finish off enemies in exchange for health or juice for your power meter. Once full, you can unleash a surge attack for a limited time that devastates combatant numbers, leaving a clear path in its wake. Each of the four classes has a different gun and special attack to boot, meaning there’s always something new to try out on your next mission. All of this comes together to form an enjoyable campaign that changes things up regularly to make sure its five hour run time never bores. There isn’t a ton of variety in its objectives – destroy this after taking its shield down, hold out for evac, or clear out reinforcements – but it’s the mechanics introduced along the way that keep things fresh. Save for one or two difficulty spikes that feel a little too harsh, this is a shooting slalom that’s more than worthy of your time. 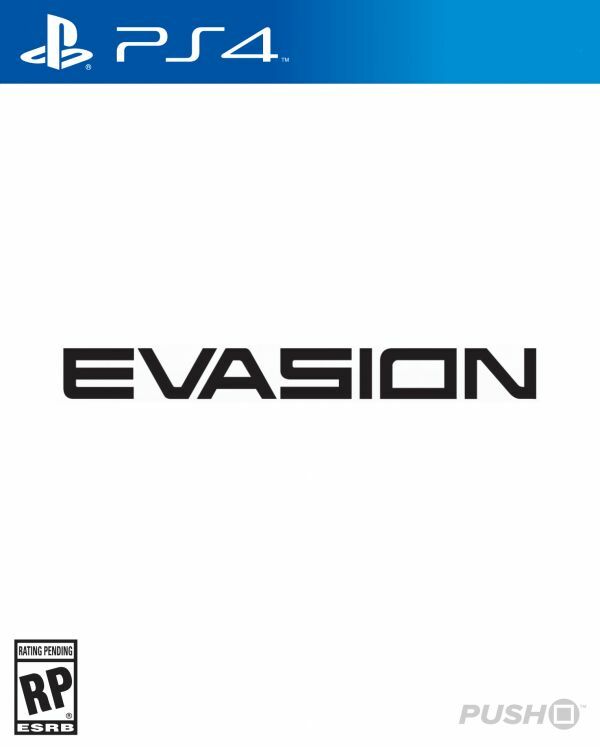 As well as being fully playable for a single individual, Evasion can also be played in its entirety co-operatively via online matchmaking. No matter whether you’re partnering up with a friend or a stranger, though, you’ll still gain access to even more features that are only present when there’s a second player about. Instead of latching your tether onto the Optera, you can also use it on teammates in order to gain an edge in battle. Heal a friend as they come under fire from nearby combatants, bolster their damage in order to take down a boss quicker, or fill a comrade’s power meter with energy so they can activate their special attack even quicker. It’s little things like this that make the co-operative experience even better for those willing to engage, and in doing so it becomes the defining way to go from start to finish in Evasion. Outside of the campaign, a horde mode is on offer to keep you coming back for more. It’s a fairly simple ordeal, waves upon waves will get progressively more difficult as you make your way through their ranks, while you’ll occasionally be asked to defend a point or take out a boss. With only three stages to choose from, it’s not the most fleshed out of modes, but it’s sure to give you something to do if you’re looking for more once the credits roll. In terms of controls, the game supports the DualShock 4 and the PlayStation VR Aim Controller, but not the PlayStation Move. This is understandable due to the title’s commitment to free movement within the environment, and the standard PS4 controller does a good job of making that a reality. 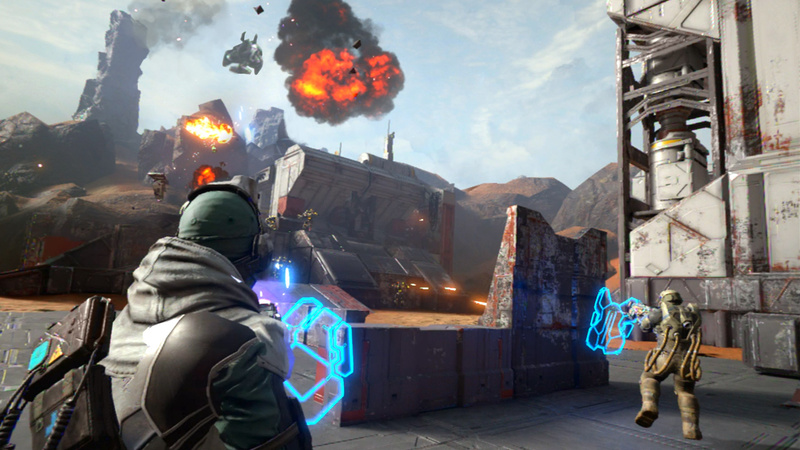 The pad itself takes the form of the gun in-game, meaning you’ll be pointing the controller in order to aim while navigating via the thumbstick. This is all well and good, but for the best experience possible, you’ll want to whip out the Aim Controller that’s gathering dust in the back of your wardrobe. Every weapon in Evasion has been constructed to fit the design of the peripheral, and this goes a long way to making everything feel so much more natural. The gun will sway side to side as you move about, shots feel even more accurate as you pull the sights up to your eye, and the special attacks feel unstoppable in your own hands. If you have the means of access, this is the way to experience Evasion. We’d also like to pay homage to the amount of accessibility options included if you were to dive into the options menu. We didn’t feel even a hint of motion sickness on the default setting throughout our entire time with the game, but if you were to, there’s many tweaks you can make to find something that works for you. It’s a little thing, but it’s something that goes a long way to making virtual reality feel natural, and if it goes wrong, you really do feel it. Evasion gets it right. Presentation wise, the game isn’t quite as impressive. Scenery changes dramatically as you scour the surface of the planet and then take your search underground, but this is the biggest switch up it has to offer. Besides that, the environments themselves look fairly bland, while the hardware limitations of the PSVR makes seeing things far off in the distance a struggle. It’s not the worst looking game we’ve seen in virtual reality, but it most definitely isn’t the best either. Accompanying the visuals is a shredding heavy metal soundtrack that’s clearly attempting to emulate the likes of DOOM, but unfortunately comes nowhere near even an attempt at bettering it. 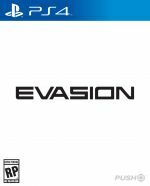 It’s unlikely to leave as much of an impact as Farpoint did, but Evasion offers a competent and entertaining shoot ‘em up campaign for those looking to bring devastation to the next alien race. Alongside a horde mode that’ll have you coming back for more, this is one experience that PlayStation VR fanatics won’t want to miss. It sounds pretty good. I'm happy to hear it came together and is fun to play. Thanks for the review, Liam. @get2sammyb This one looks pretty good, I'll give a try on the Holidays. Thanks Liam. Nice, the list of VR games I want is growing, and I'm liking these short play times. Sounds great! Will pick this one up on sale for sure! Sometimes I don't get your reviews. I often really like them but come on: This game costs 40 Euros and is EXTREMELY repetitive, every level looks the same, it is just a SHMUP. A wave shooter with good but very boring graphics (no variety). Ok for 10-15 Euros but not in the same price range as Astro Bot or Farpoint. And I say that as a person who likes SHMUPS. Thanks for the review. In all fairness to Sanctanox above, other reviews, which I've read/watched, imply that the core gameplay, is essentially, a glorified wave shooter, similar to Blasters of the Universe, but with a bit more mobility thrown in. Whatever it is, it doesn't appear to be a game for me. @LiamCroft Well, in my opinion it is a wave shooter because the gameplay is more or less a SHMUP like galaga or invaders with fixed move patterns of the enemies with no enemy AI but prerecorded behavior. No, I did not buy or play it but I watched in game footage and read 3 reviews who all told the same (repetitive, wave-shooter, very boring). @Sanctanox I don't know what to tell you other than that this is not a wave-based shooter. It's as simple as that. @Sanctanox - it genuinely isn't a wave shooter - simply because you move... this means that the enemies don't have a wave pattern - they flank (and you can flank them) - they're all around you and adapt (take cover, etc.) it reminds me of Gears of War a bit (but obviously killer alien robots) so whatever reviews you're reading.. they're not very accurate - I played 9 waves just to get my feet, and the massive alien gits, etc were following me, turning their attention to my co-op bud, running all over the place, etc. etc. nothing scripted, all adaptive.. and IMMENSE FUN!